Name: Charlotte 'Charley' E. Pollard; altered the Sixth Doctor’s memories after her departure so that he remembered anything he experienced with her as being with Mila. Time of Origin: Earth, 1931. 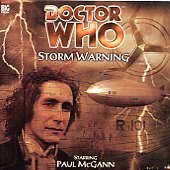 Appearances: "Storm Warning" to "The Girl Who Never Was" (Eighth Doctor), "The Condemned" to "Patient Zero"; subsequently impersonated by the deranged Mila until her reunion and ‘official’ departure from The Doctor in "Blue Forgotten Planet" (Sixth Doctor). Doctor: Eighth Doctor and Sixth Doctor (Confusingly enough, in that order); once encountered holograms based on the Fifth, Sixth and Seventh Doctors. Fellow Companions: The Brigadier, Vicki, Leela, K9, 2nd Romana, C'rizz, Mila (Mila transformed herself into a duplicate of Charley using the Dalek viruses that she had been exposed to previously). Despite the fact that he would eventually have to kill her, The Doctor quickly formed a strong friendship with Charley. Charley was one of the small group of companions who didn't know about a lot about technology but still had a fairly basic knowledge of it, (The others being Jamie and Victoria), but she still managed to cope fairly well during her time with The Doctor. She even learnt how to operate the TARDIS to a certain degree, picking up how to activate the console data screen through simply observing The Doctor ("Embrace the Darkness") and later being taught how to work the Fast Return Switch during their fight with the Nimon ("Seasons of Fear"). Despite being not too far removed from Victoria in terms of her time of origin, she was far from a 'shrinking violet', helping The Doctor with such varied dangers as breaking a curse on the family of an old Italian Count ("The Stones of Venice"), standing against the Nimons’ attempted conquest of Earth ("Seasons of Fear"), and was even prepared to sacrifice her life to save all of reality from collapse. Like The Doctor himself, she was able to gain trust very easily; even a ruthless android gave its life to save hers on only her first trip in the TARDIS ("Sword of Orion"), and she later managed to appeal to Edith - the same cook who had always served Charley plum pudding on Christmas Eve back home - and convince her that life could still be worth living, telling Edith that Charley would always remember her on all the alien worlds she visited, even if Edith would never see her again ("The Chimes of Midnight"). 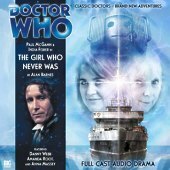 Despite her obvious strength, Charley nevertheless also fulfilled the required companion role of getting captured and needing to be saved by The Doctor, most notably when she lost her memory after an accident in the TARDIS and was forced to work for the notorious Hellfire Club, where she was captured by Charles Brigham Dashwood III, the governor of the new fifty-first state of America ("Minuet in Hell"). Dashwood almost sacrificed her to a demonic life-form that lived in the dust of comets and fed off negative emotions so that it could use her body as a host, but The Doctor was able to recover his memory in time thanks to the intervention of his old friend The Brigadier, who'd been visiting the new state as an observer for the United Nations. 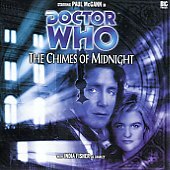 Charley has also suffered from deliberate brainwashing more than once, briefly being caught up in a time loop that caused a sentient house to repeatedly kill a different resident over and over ("The Chimes of Midnight"), while on another occasion she was trapped in a nanite-controlled prison based on the memories of her past ("Memory Lane"), although on both occasions The Doctor managed to reach her and help her regain her true memory. She also demonstrated a strong loyalty and affection for The Doctor, once accompanying him on a dangerous attempt to help the mysterious Cimmerian race after The Doctor made a mistake that could have destroyed them simply because she refused to let him feel guilty for something he hadn’t intended to do ("Embrace the Darkness"). Charley was also unintentionally involved in a trap created for The Doctor when his apparent success at getting her to her appointment at Singapore was revealed to be an alternate timeline created so that The Doctor’s future foe Sebastian Grayle could gloat at a past Doctor after he killed his enemy ("Seasons of Fear"). However, taking advantage of the fact that Grayle’s actions suspended the usual laws of Time, The Doctor was able to prevent this timeline by manipulating events so that Grayle was killed by his own past self - having discovered that his enemy was being used by the Nimon ("The Horns of Nimon") - and his future existence erased, although The Doctor was left increasingly aware of the long-term consequences of Charley’s paradoxical survival despite his continued reluctance to actually kill Charley. The issue of Charley’s survival was finally resolved when the Time Lords captured Charley on the grounds that her survival was causing ripples in the fabric of reality that were permitting aspects of ‘anti-time’ - a force as destructive to causality as anti-matter is to positive matter - to seep into the universe. Travelling into the anti-time reality to investigate in more detail, The Doctor, Charley, and Romana - now Gallifrey’s President - realised that the anti-time reality was populated by people who had been erased from Time - including a former co-ordinator of the Celestial Intervention Agency - and that they sought to detonate a ‘bomb’ of anti-time in Gallifrey that would plunge the universe into chaos. With the only apparent option being to kill Charley to erase the breach, The Doctor instead used the TARDIS to contain the explosion, thus making the breach - and Charley’s survival - a fact of the timeline ("Neverland"). Unfortunately, The Doctor was contaminated by the Anti-Time released in the explosion, transforming him into Zagreus, a being of pure anti-time that Rassilon, the founder of Time Lord society, wished to use as an assassin against the Divergents, the race that would evolved to replace the Time Lords before Rassilon took them out of history and sent them to a pocket universe with no Time. 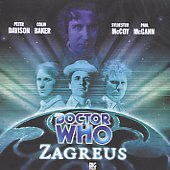 With the aid of ex-companions Romana, Leela and K9 - as well as holograms based on the Fifth, Sixth and Seventh Doctors generated by the TARDIS to provide the companions access to The Doctor’s knowledge in the absence of the original -, Charley was able to help The Doctor fight off the Zagreus part of himself long enough to dispose of Rassilon in the Divergence's pocket universe, before a sample of pure zero matter stabilised The Doctor's mental state and submerged the Zagreus part of him. However, unable to get rid of the anti-time infection itself, The Doctor was forced to enter the Divergents' pocket universe himself, as simply stepping into our universe would annihilate it completely, initially unaware that Charley had followed him to ensure that he wouldn’t be alone in this new universe ("Zagreus"). Their time in the Divergence Universe was never easy; early on in their new universe, the TARDIS was taken from them by an unknown force, and all the evidence around The Doctor and Charley seemed to suggest that they were in some sort of laboratory complex, being forced to go through tests of some kind in their search for the TARDIS. During their travels, they were joined by C'rizz, a chameleon-like alien - capable of changing his skin tones, some members of his species being able to achieve true invisibility -, who was forced to murder the woman he loved when she began to mutate into a hideous hybrid, Charley only narrowly being saved from a similar fate thanks to The Doctor’s efforts ("The Creed of the Kromon"). Realising that they were on a planet that was separated into zones without the inhabitants' knowledge, The Doctor was able to convince the zone guardian - a mysterious intelligence known as the Kro'ka - to let them pass through the zones to search for the TARDIS, although it was constantly hinted at that it possessed an ulterior motive for its actions beyond interest in The Doctor’s ship. Eventually, the TARDIS was discovered when The Doctor was split into three different people after passing through a barrier; the TARDIS had been unable to send The Doctor a complete message when he was a single entity, so it had manipulated the barrier to split The Doctor up so he could be in three places at once and receive the entire message. This also (apparently) revealed the purpose of the experiments; to give the Divergents access to the secrets of the TARDIS ("Caerdroia"). However, in their final struggle in the universe, The Doctor learned the truth about the anti-time universe; there was no Time in it because it was locked in an endless cycle, going back to the beginning after a certain amount of 'time' had elapsed, and there were no temporal coordinates due to the fact that every moment had happened before. The experiments had been carried out because the Divergents wanted to see how a random element would affect the process of evolution and change, wishing to confirm their belief that The Doctor alone could break the cycle they'd been trapped in since the beginning. 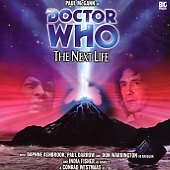 Facing off against Keep - a creature that was a combination of both himself and Charley, created during their time in an evolution-accelerating chamber at the start of their travels in the universe; Keep represented what they could have become if they hadn’t left the chamber -, The Doctor deduced that Perfection, Keep's 'wife', selected to help him recreate life in the universe, was in fact Zagreus; Rassilon had filtered the anti-time energy in The Doctor’s body out of him the second he'd entered the Divergent's universe, leaving Zagreus’s energies disembodied and forced to possess Perfection as a host. With time running out until the universe ‘reset’, The Doctor, Charley and C'rizz returned to our universe, leaving Zagreus and Keep to sort out their differences... and leaving Rassilon trapped in the evolution chamber with the Kro'ka, unable to escape and with nobody there to hear him scream as he was broken down once more ("The Next Life"). Having returned to her universe, Charley was grateful to be back on more familiar territory, despite some initial tension between her and C’rizz due to his past as an assassin and the fact that he changed the original status quo of just her and The Doctor. As time progressed, however, the two became good friends, Charley recognising that morality could be more complicated than her initial perceptions after such experiences as an encounter with serial killer Eunis Flood who was about to be killed as part of an experiment to research the nature of evil, Charley concluding that Flood didn’t deserve such treatment no matter what he’d done in the past or would do in the future ("Scaredy Cat"). Charley also experienced an interesting historical encounter when she met the Duke of Wellington during a trip to the Great Exhibition in 1851, assuring him that he personally would be remembered as a great hero even if Britain itself still had problems in the future while posing as a French ambassador after the originals were briefly trapped in the TARDIS ("Other Lives"). In the end, however, C’rizz was killed when the TARDIS was trapped on a planet resembling Hell and was forced to serve as a spiritual storage facility for the souls of the entire planet - a purpose that The Doctor speculated C’rizz had been intended to serve for the Foundation -, only for C’rizz to burn himself out when he acted to restore the planet to normal, his last words being to describe Charley as his sister before he died ("Absolution"). Angry at The Doctor’s apparent lack of concern for the loss - although he Doctor tried to assure her that he did care and had just grown used to moving on after so long travelling and seeing his companions leave -, Charley ordered The Doctor to take her to Singapore once and for all. However, although Charley changed her mind after she arrived in Singapore, a subsequent confrontation with the Cybermen during their latest attempt to harness time travel resulted in The Doctor and Charley being separated as the Cybermens’ ship collapsed, Charley being left in the year 500 000 on an abandoned Earth, believing that The Doctor had been killed by the Cybermen - in reality he had entered a healing coma after a failed conversion -, while The Doctor returned to Singapore in 2008 after the TARDIS’s HADS activated when the ship they were on disintegrated, his recent memories so scrambled by the attempted conversion that he was unable to precisely recall what had happened to Charley ("The Girl Who Never Was"). Using Cyber-equipment to transmit a distress signal from a deserted island, Charley was finally rescued by the TARDIS... only to learn that it was the Sixth Doctor’s TARDIS ("The Condemned"). 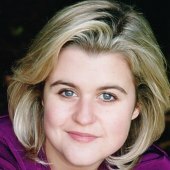 Despite facing the obvious problems of travelling with a previous version of her Doctor, haunted by the apparent ‘death’ of The Doctor she knew, Charley nevertheless decided to remain with the Sixth Doctor, while simultaneously taking care to avoid revealing that she knew him in the future due to both the Web of Time and her belief that she had seen his death. Unfortunately, Charley’s attempt was dangerously flawed from the beginning, with her attempts to conceal information regarding such details as her knowledge about the Web of Time or previous encounters with alien life-forms such as the Daleks ("Brotherhood of the Daleks") made The Doctor increasingly suspicious of her. Although he appeared to be willing to accept her presence in the TARDIS, the various minor mysteries she presented, such as talking about how The Doctor didn’t care about C’rizz’s death when she was temporarily suffering from oxygen deprivation ("Return of the Krotons"), or her detailed knowledge of the Daleks, left the Sixth Doctor increasingly suspicious of her true history, to the point where he finally confronted her about her true past. Although The Doctor was unable to get any kind of answer from Charley before she collapsed for initially unknown reasons, he subsequently spent some time trying to find out what was wrong with her, eventually realising that she had somehow succumbed to several mysterious viruses despite the TARDIS being programmed to protect her from such things. While The Doctor tracked the viruses to their source, Charley was confronted by the mysterious Mila, who revealed that she had been the victim of Dalek viral experiments long ago, using Charley’s ability to be infected with her viruses (Apparently because the TARDIS had no interest in protecting her due to her paradoxical nature) to transfer her condition - including being permanently invisible and intangible to all around her - to Charley, simply so that she could take Charley’s place as The Doctor’s companion ("Patient Zero"). Fortunately, although The Doctor departed with no knowledge that Mila wasn’t the original Charley, Charley herself was recovered and treated by the Viyrans, a mysterious race who had been charged with disposing of various viruses, Charley going on to serve as their agent when tracking the viruses in exchange for them helping her find The Doctor again. 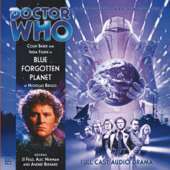 Although their attempts to eliminate a microscopic viral particle on Earth nearly destroyed the planet ("Blue Forgotten Planet"), Charley was reunited with The Doctor and Mila, explaining the truth about her past and helping The Doctor figure out a means of restoring Earth to normal, although Mila died in the process. Seeing no other way to preserve the Web of Time, Charley convinced The Doctor to allow the Viyrans to alter his memories of his time with her and Mila, the Viyrans editing his memories so that his memories of Charley now featured Mila’s true name and appearance in her place, as well as giving her a peaceful departure rather than a painful death. Charley’s final fate after witnessing the Sixth Doctor reflecting on his memories of Mila is unknown, but the most likely explanation is that she continued to work with the Viyrans to help them seek more humane solutions to their quest to destroy the Amethyst viruses. Due to the complex nature of her interaction with The Doctor, Charley has had several interesting experiences during her time in the TARDIS, but her most prominent moment is unquestionably her discovery that her survival of the R-101 crash was causing a temporal rift in the universe ("Storm Warning"). 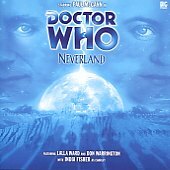 Despite The Doctor’s pleas that he could find another way, Charley was willing to sacrifice herself so that the universe could live despite her fear, but The Doctor was able to find another way to seal the rift and thus allow Charley to continue living ("Neverland"), Charley later reciprocating The Doctor’s affection for her by refusing to allow him to exile himself in another universe without any friends when he believed that he would endanger this one if he stayed ("Zagreus").